There are 21 blog entries for May 2011. Tuesday, May 31st, 2011 at 11:54am. All statistics are compared to same month last year. Friday, May 27th, 2011 at 11:17am. According to the "Honolulu Star Advertiser", Duke Kahanamoku Beach in Waikiki is ranked No. 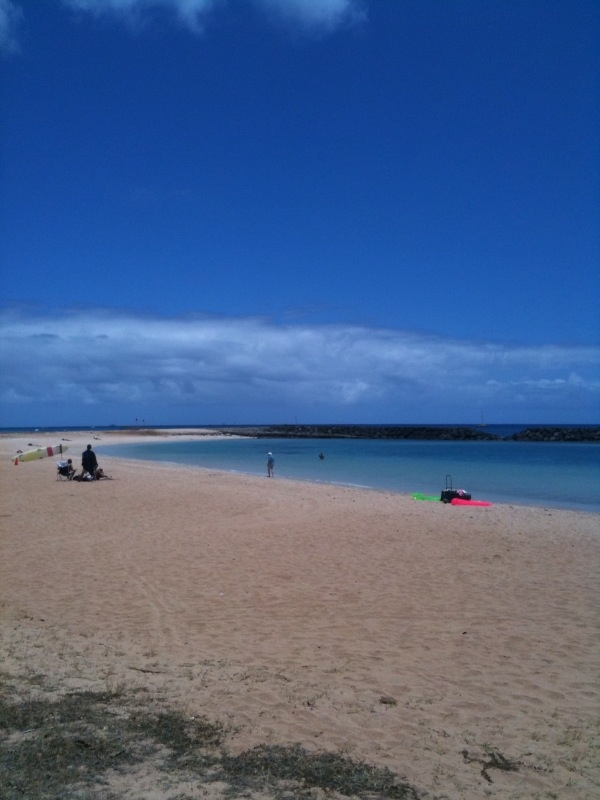 3. on the list of Top 10 Beaches and Waimanalo Bay State Recreation Area on the east side of Oahu is ranked No. 9. Find out the rest of the Worlds's Top Ten Beaches here. Thursday, May 26th, 2011 at 11:10am. According to a recent article in the "Honolulu Star Advertiser", staged homes are selling faster and getting higher prices than non-staged homes. 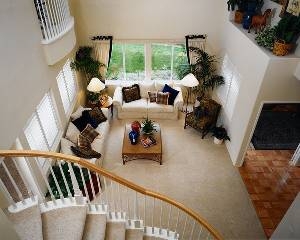 Staged homes add warmth and allow potential buyers to see how the spaces would look once they move in. It's easier and less expensive than you might think to stage a home and your Realtor ® can help. First impression is critical and many buyers make up their mind within seconds of seeing a property. That impression starts to form even as they pull up to the property so it's also important that the exterior including landscaping, exterior maintenance issues, and driveways are taken care of. Tuesday, May 24th, 2011 at 11:02am. I just love these beach cams! 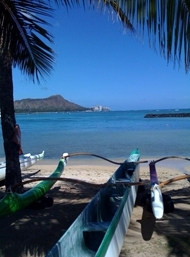 This beach cam is located right in in front of the Duke Kahanamoku Statue at Waikiki Beach. Monday, May 23rd, 2011 at 11:31am. According to "Hawaii News Now", at www.hawaiinewsnow.com, "The impact on Waikiki's main street spans large areas of Kalakaua avenue where signs redirect foot traffic and heavy equipment digs into huge sections of sidewalk." "'A lot of the old tile was heaving and breaking,' Kaikor Construction Co. president Steve Baginski said." "The old tiles are being removed and replaced with sturdier stone tiles. The city said so far the job's on pace to finish at the end of September, a month before the APEC summit arrives." "Every day on the job is an adventure in the unforeseen." Read the rest of the story, "Waikiki sidewalk repair is a $5 million challenge". Monday, May 23rd, 2011 at 7:29am. Housing slowdown? What housing slowdown? Sales of higher-price homes in North Texas are rising this year while the overall market is still in the tank. Affluent buyers, many armed with cash, are scouring the market for marked-down mansions in the Park Cities, North Dallas and other exclusive neighborhoods. "There are a lot of people with money who have been waiting to buy," said veteran Dallas luxury home agent Ellen Terry. "There is renewed energy in the market. "2010 was very difficult," Terry said. "But I'm having a fabulous 2011." Friday, May 20th, 2011 at 11:55am. I just ran across a great website giving tons of information about Sunset on the Beach Movies, at www.sunsetonthebeach.net. According to their website: "Sunset on the beach is a FREE movie shown on a huge 30 foot screen. The movies occur on the weekends and feature quality films for the whole family to enjoy. And as the event title suggests, the 30 foot screen is on the beach." Read more about Sunset on the Beach Movies at www.sunsetonthebeach.net. Thursday, May 19th, 2011 at 11:51am. According to KITV.com online news, "Imagine building a median down Ward Avenue, closing small side streets to traffic and eliminating the requirement to provide parking for some businesses. Those are some of the ideas behind new rules for the Kakaako area just mauka of Ala Moana Boulevard. The agency charged with overseeing the Kakaako and Kalaeloa votes on new rules to guide future development this week. Read more: "Major Changes Planned for Kakaako". Thursday, May 19th, 2011 at 10:06am. How to protect your home's value by understanding your Homeowner's Association. Drop in anytime between 5:00 and 6:30 to learn what you need to know about your HOA to protect your real estate investment. Free wine, snacks and valuable knowledge! Wednesday, May 18th, 2011 at 10:40am. According to the "Honolulu Star Advertiser" newspaper, "A bike rental program to promote an active lifestyle and reduce traffic will officially launch on Friday in Kailua." "Hawaii B-cycle is the first program of its kind in the state, and part of a $100,000 pilot project of the state Department of Health's Healthy Hawaii Initiative. Although the official launch takes place Friday, dozens of riders already have used the bikes over the past couple of weeks." "Officials say the concept is to encourage people to commute on the bikes in short time periods to promote healthy living and alleviate congestion. Instead of sitting in their cars, they can hop on a bicycle."